Seeds on table. 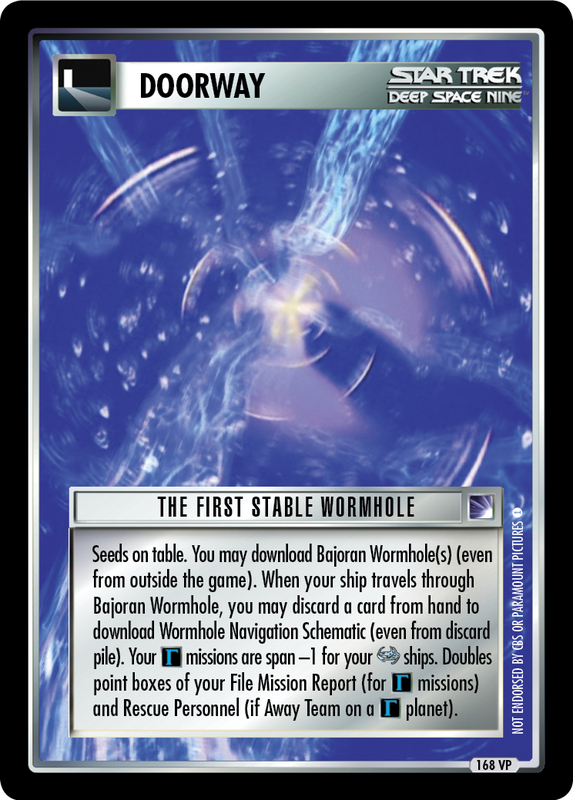 You may download Bajoran Wormhole(s) (even from outside the game). 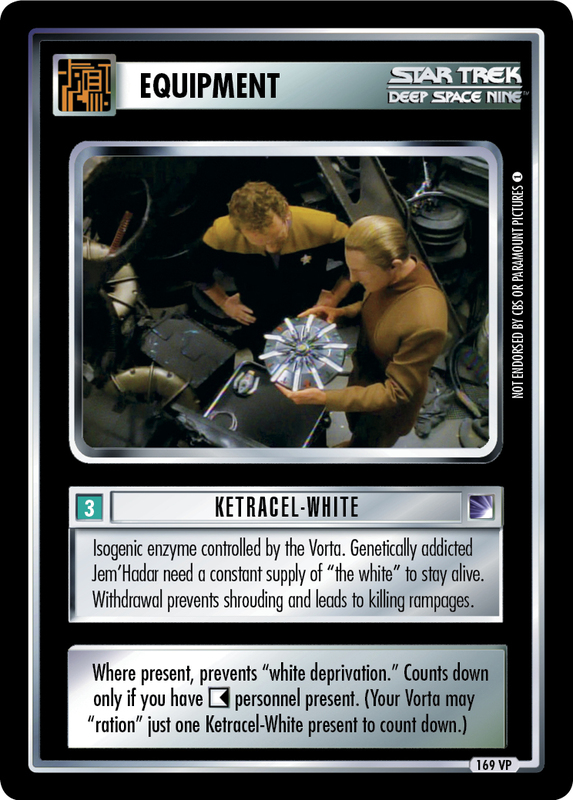 When your ship travels through Bajoran Wormhole, you may discard a card from hand to download Wormhole Navigation Schematic (even from discard pile). Your missions are span -1 for your ships. Doubles point boxes of your File Mission Report (for missions) and Rescue Personnel (if Away Team on a planet). 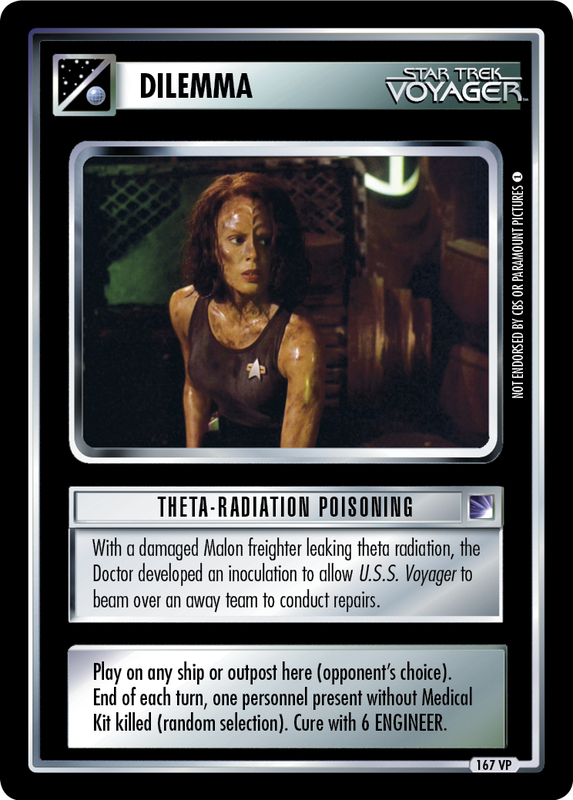 Image Source: Deep Space Nine: "Emissary, Part II"